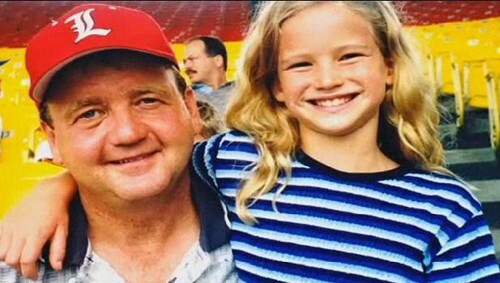 Jennifer and her dad when she was a child. . Wallpaper and background images in the Jennifer Lawrence club tagged: jennifer lawrence jennifer lawrence actress the hunger games photo personal photos. This Jennifer Lawrence photo might contain potret, headshot, closeup, and headshot closeup.